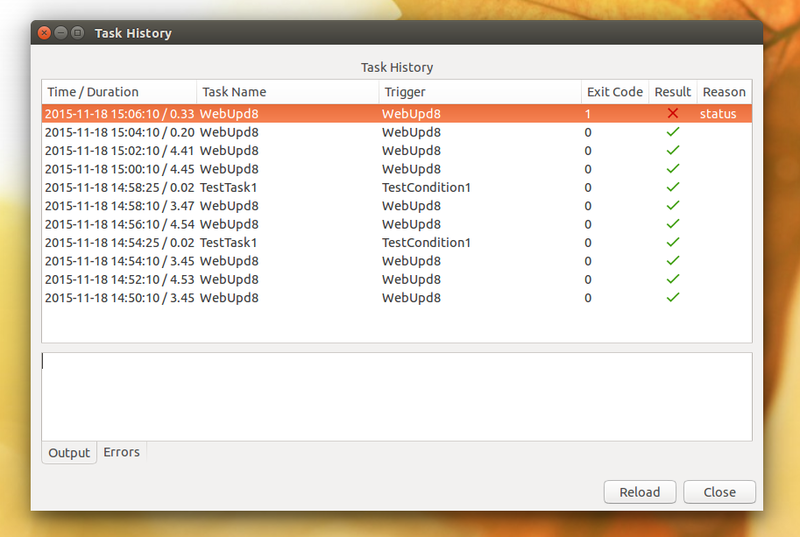 "When" (or "when-command") is a task scheduler which allows running unattended tasks when certain conditions are met. 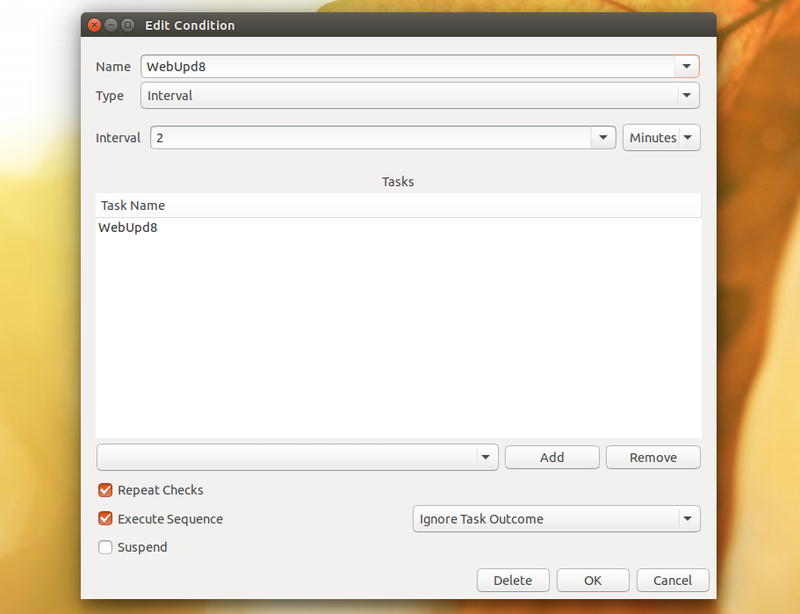 Using "When", you can set your desktop to perform various tasks depending on certain conditions. For instance, you can synchronize files, perform some cleanup actions, auto import photos from external storage devices and many other tasks (these are examples and require adding commands or scripts to "When"), all based on conditions such as a command exit code or output, a given time interval, file/folder changes and more. Even though for some tasks you'll have to write your own scripts, When makes it easier to use them as you won't have to include all the conditions supported by When in your scripts. According to its developer, the application "is not generally intended as a replacement to cron and the Gnome Task Scheduler, although to some extent these utilities might overlap". He adds that "When is intended to be more flexible, although less precise, and to provide an alternative to more complicated solutions -- such as the implementation of cron jobs that check for a particular condition and execute commands when the condition is verified". user defined event (dbus - advanced feature). 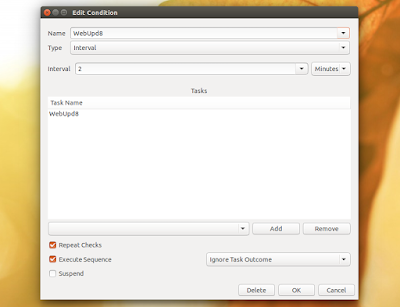 For each task, you can specify a command, a working folder, add environment variables and check for the command success or failure (or check for nothing and just run the command ignoring the output). 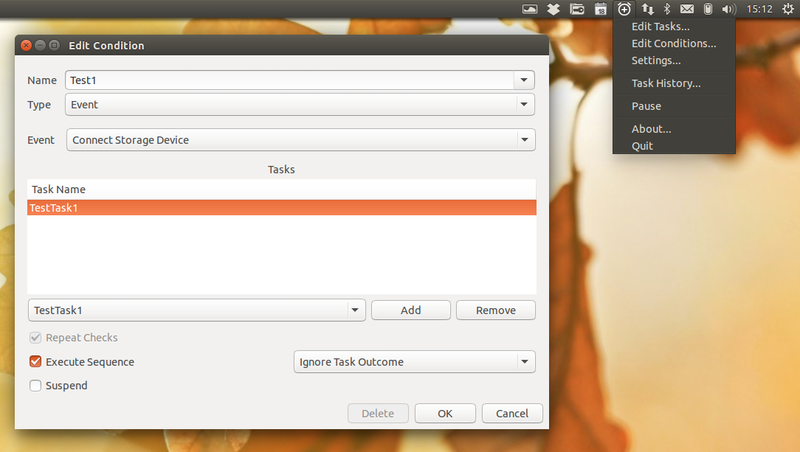 Important: don't use spaces for the task / condition name as it won't work (the Ok button is grayed out if the name contains spaces). For more information on When and how to use it, see its GitHub page, the When tutorial and the examples available HERE. 1. Download the latest When (deb) from GitHub and install it. 3. 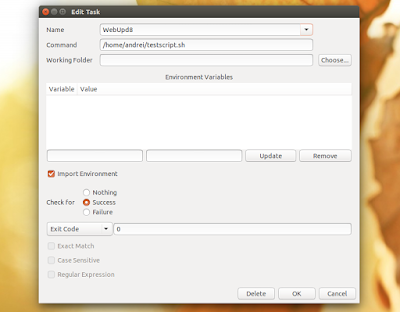 (Optional) Install "python3-pyinotify" for file/folder notification support. 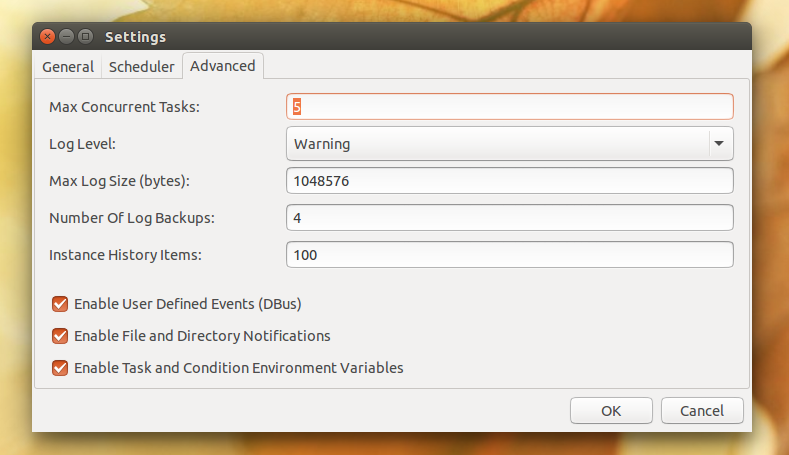 Note that on some desktop environments (this happened in my test while using Linux Mint Cinnamon), the When menu entry might not show up until you restart your session (logout/login).